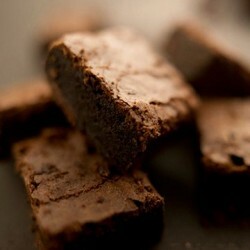 Founded in 2004, Serious Treats started on the Bristol Farmers' Market selling a variety of cakes. 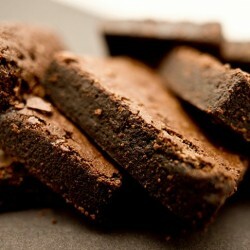 Over time it became apparent that the chocolate brownies were a firm favourite. In 2009 they won their first Silver Taste of the West Award, followed by a 1 Star Gold Great Taste Award 2012 in 2010 and 2012. 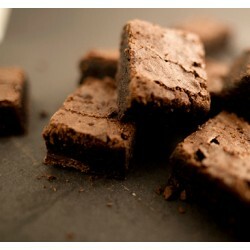 Made using Shipton Mill flour, natural fruit flavouring, free-range eggs and Montezuma's 73% cocoa solids chocolate, Serious Treats chocolate brownies make a fabulous gift for any occasion. 6, 12 or 20 chocolate brownies are delivered in a tastefully decorated gift box with a hand written card for your personalised message. 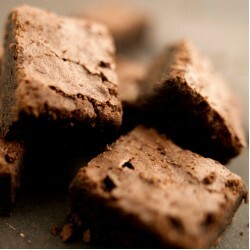 Serious Treats brownies also make perfect wedding favours and corporate gifts.